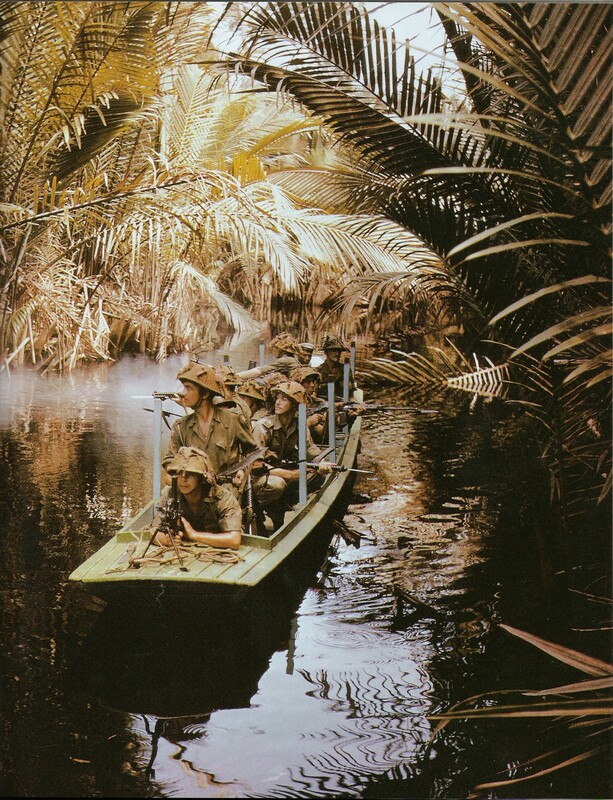 The British Empire at War Research Group is a forum for scholars interested in all aspects of the British Empire’s war history, particularly the Empire’s participation in world wars. Convened by Professor Ashley Jackson (King’s College London) and Dr Yasmin Khan (University of Oxford), it organizes regular academic events and publishes online essays and occasional research papers. Its primary purpose is to facilitate interaction among scholars from different parts of the world who share an interest in the history of the territories of the former British Empire-Commonwealth during times of conflict. The group focuses in particular on the world wars of the twentieth century and also the world wars of the eighteenth and nineteenth centuries. It extends to cover other periods of imperial conflict too, such as the manifold conflicts of the Victorian era, the landmark South African War of 1899-1902, and the ‘counterinsurgency’ conflicts of the post-1945 era. Annual workshops on aspects of the Empire’s war experience in the twentieth century are convened in Oxford and at the Joint Services Command and Staff College, Defence Academy of the United Kingdom by Jackson, Khan, and Dr Jonathan Fennell (King’s College London). An annual workshop with an eighteenth and nineteenth century focus is held at Sheffield Hallam University, convened by Professor Bruce Collins (Sheffield Hallam University) and Dr Huw Davies (King’s College London). The British Empire at War Research Group grew out of the research activities of its founders and a workshop on new research on the British Empire during the Second World War held at Mansfield College Oxford in April 2009. 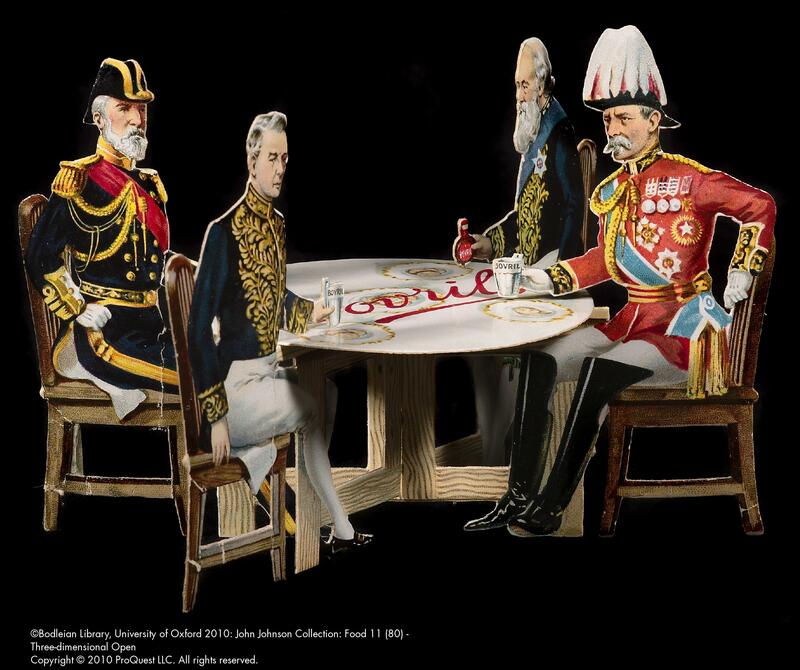 The group was formed in 2012 in order to extend the reach of a growing informal network of academics attached to various UK and overseas universities and institutions such as museums. Ouleye Ndoye, a master’s graduate of Oxford University, was instrumental in the construction of the website. 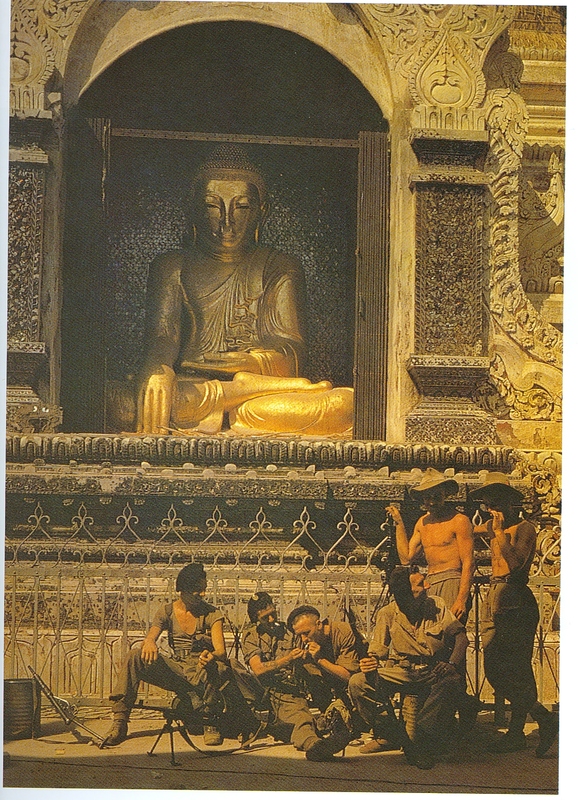 The group aims to provide a forum dedicated to the study of the British Empire at war, useful to scholars whose home institutions’ syllabi and research agendas might not cover this fascinating aspect of history in any depth. The study of the British Empire at war is an important field of academic endeavour, but it is a niche one. The British Empire at War Research Group exists to showcase the work of those whose research is dedicated to it. 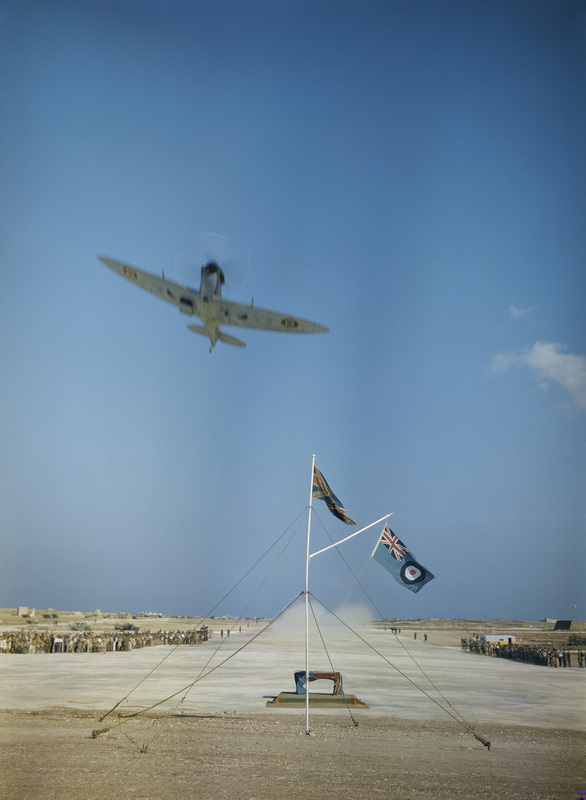 New Zealander Air Vice Marshal Sir Keith Park takes to the skies in a Supermarine Spitfire Mk V, leaving Malta on 15 May 1943. 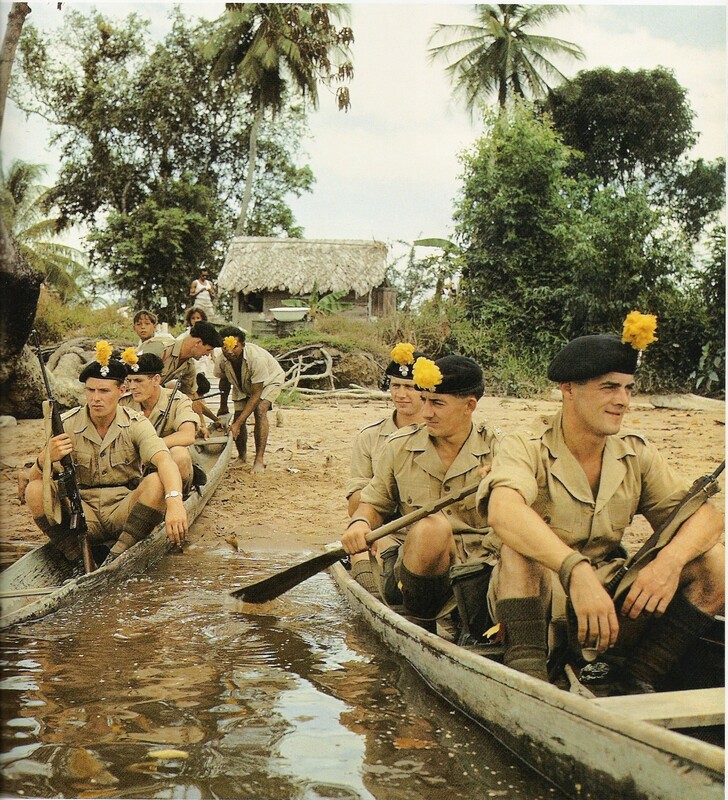 On the ground are Mauritian and other colonial troops. Copyright Imperial War Museum. 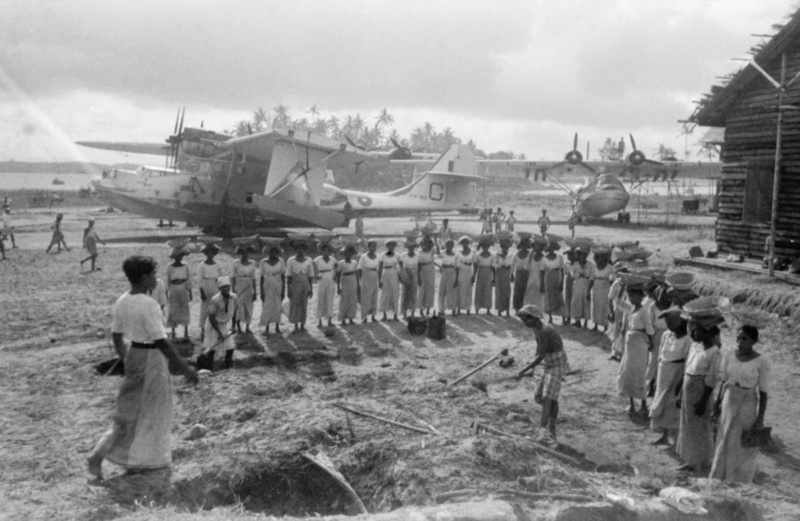 Sri Lankan women line up for head-basket loads of gravel, dug by male labourers, to repair the hard standing areas of the flying-boat station at Red Hills Lake, Ceylon, in November 1944. In the background can be seen Consolidated Catalina Mark IV flying-boats of 240 Squadron RAF. 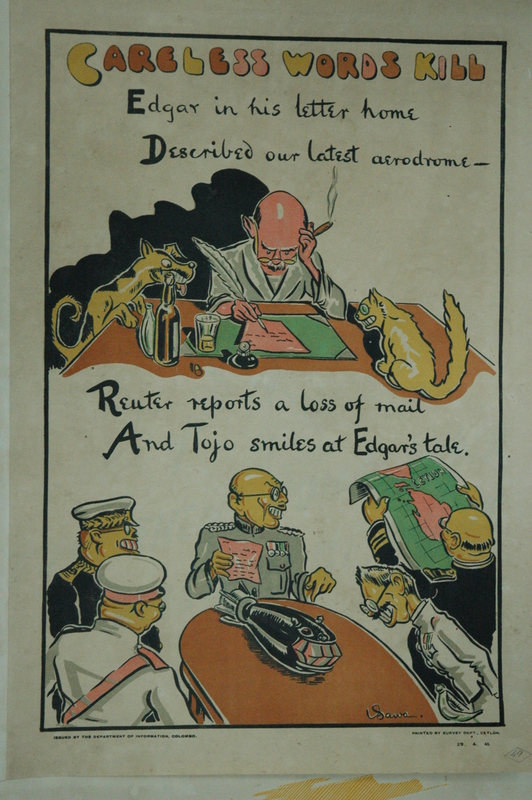 A Government of Ceylon propaganda poster underlining the perils of ‘careless talk’, c. 1941. 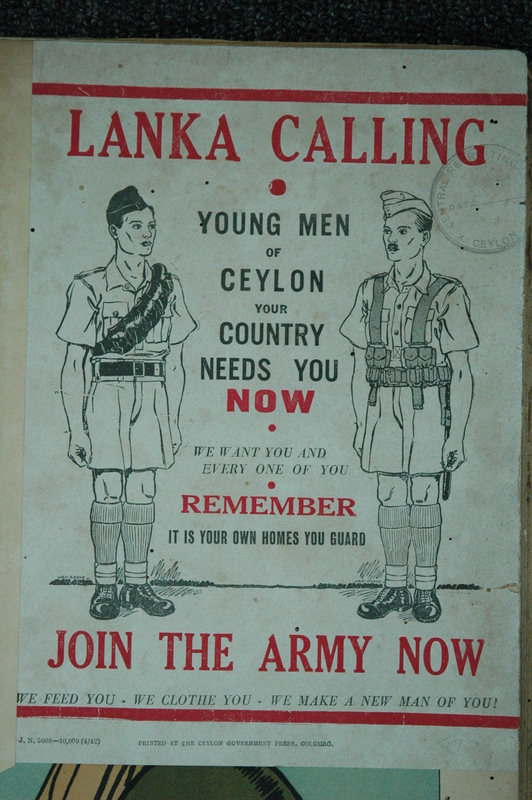 A Second World War recruitment poster from Ceylon, reminiscent of the famous First World War poster showing Field Marshal Lord Kitchener demanding the viewer to join up. 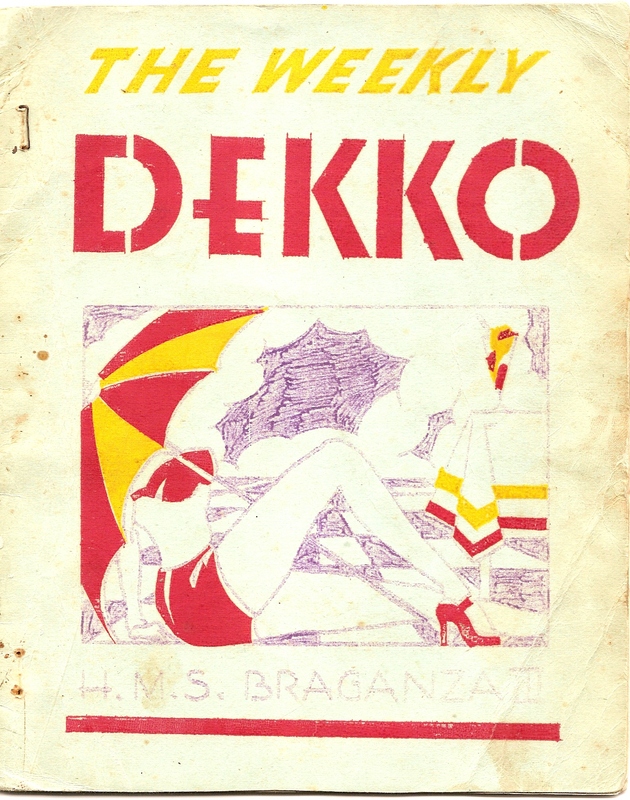 ‘The Weekly Dekko’, a magazine produced by the service personnel of HMS ‘Braganza’, a naval establishment in Bombay, 1944. 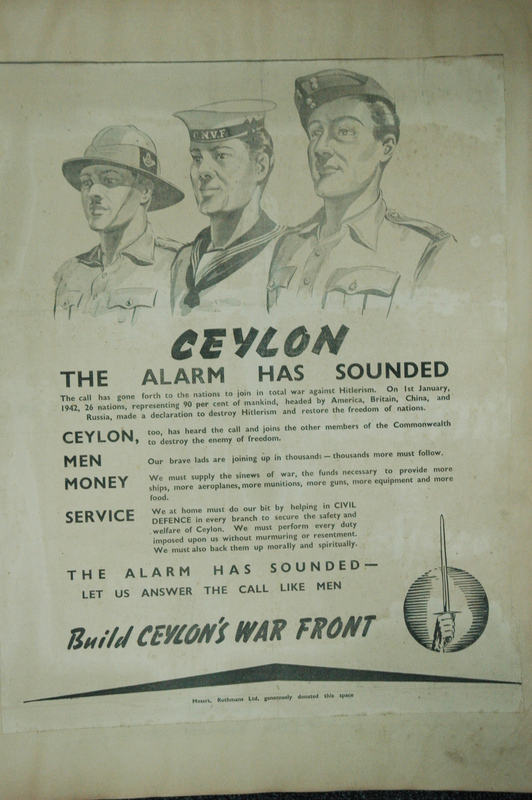 A Government of Ceylon recruitment poster from the Second World War. 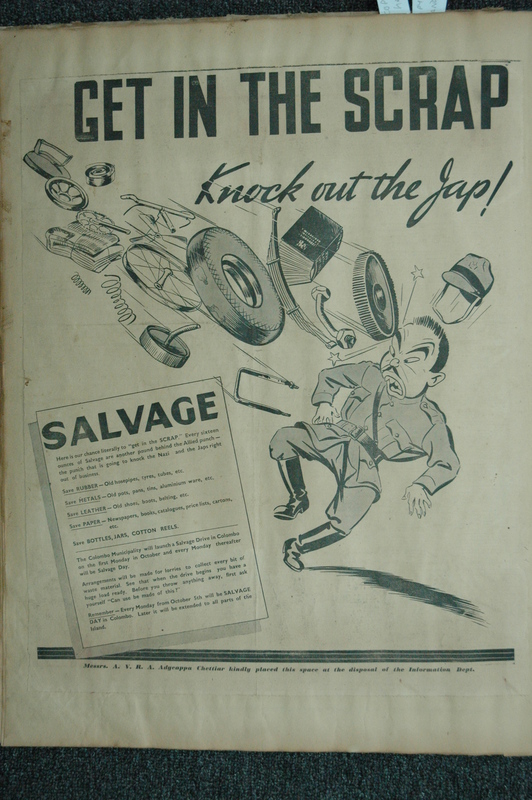 ‘Every sixteen ounces of salvage are another pound behind the Allied punch – the punch that is going to knock the Nazis and the Japs right out of business’. Government of Ceylon Department of Information poster, c. 1942. 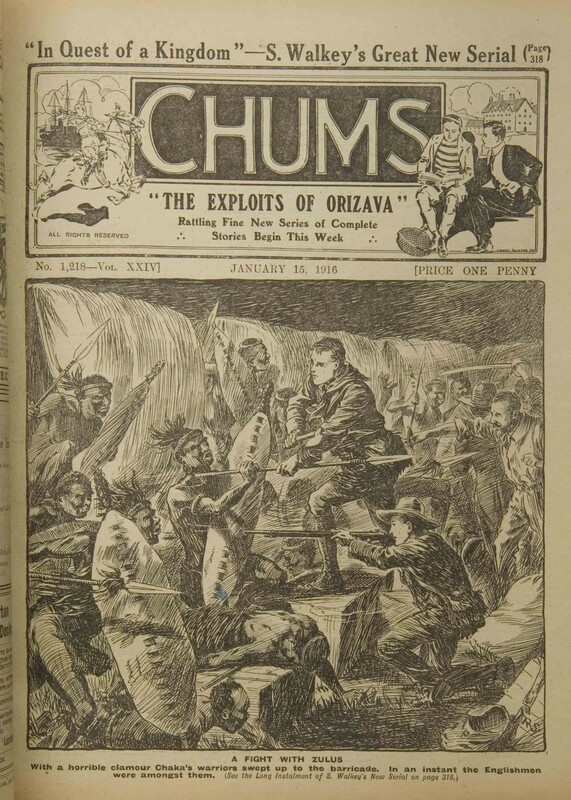 War and empire in British popular culture: “A Fight with the Zulus”. Englishmen – looking remarkably like the public school boys that the publication was aimed at – fight Zulu warriors. From “Chums”, 1916. 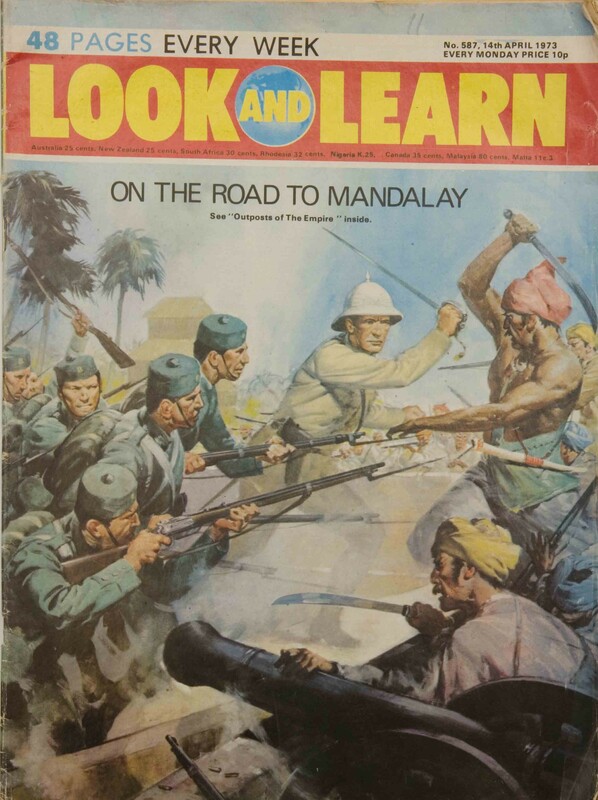 War and empire in British popular culture: An episode in the conquest of Burma, “Look and Learn” magazine for children, 1973. 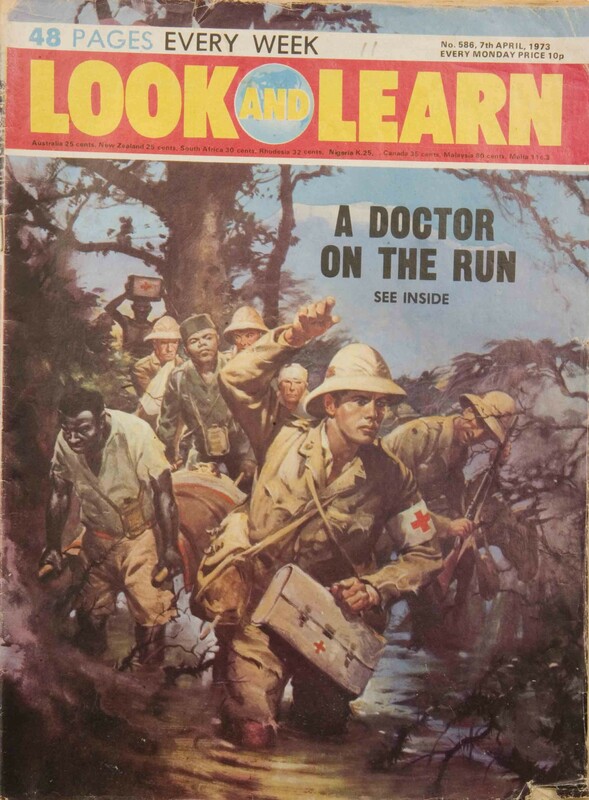 War and empire in British popular culture: A story from the East African campaign during the First World War, “Look and Learn” magazine for children, 1973. 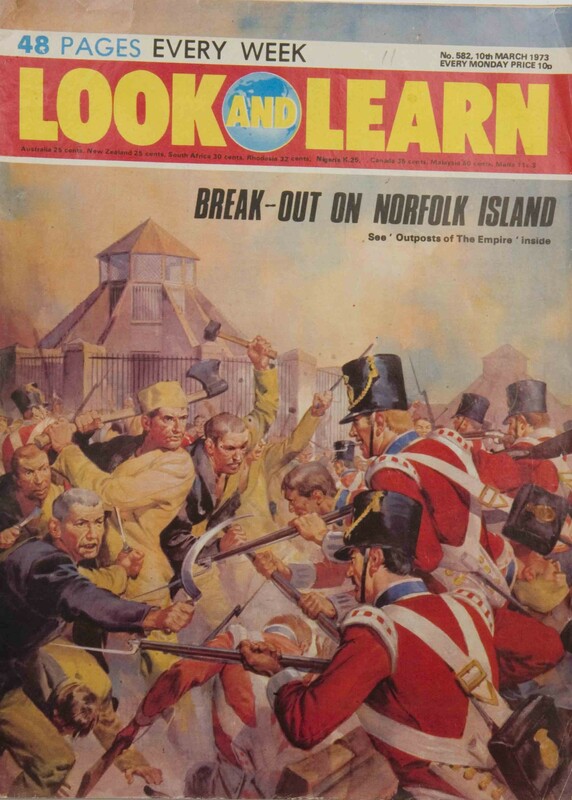 War and empire in British popular culture: British troops suppress an uprising on Norfolk Island, “Look and Learn” magazine for children, 1973. 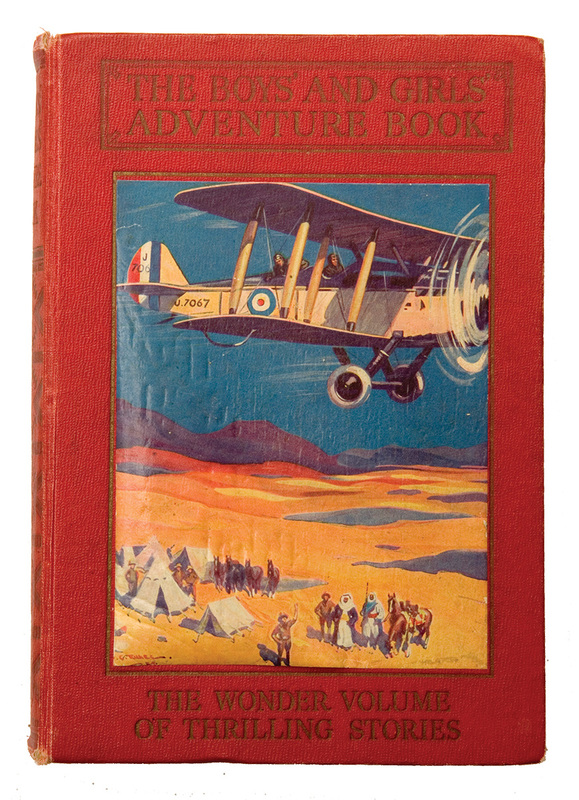 War and empire in British popular culture: “The Boys’ and Girls’ Adventure Book” (1935), containing stories about gunboat diplomacy and the role of air power in imperial policing. 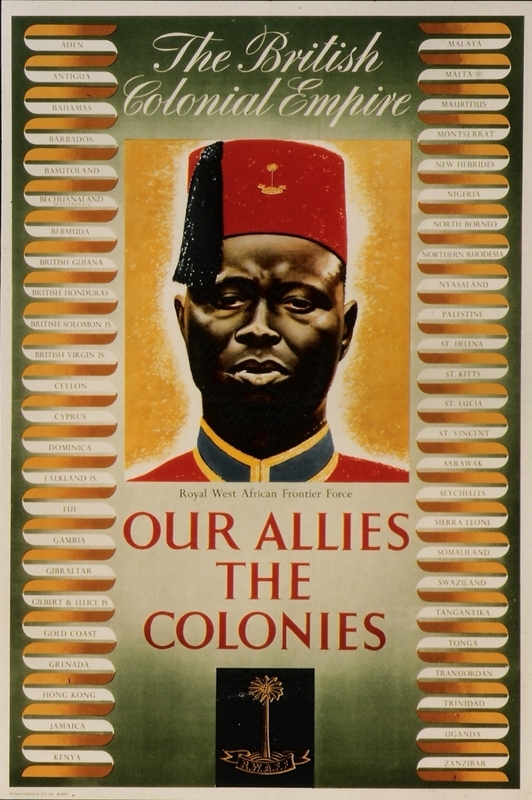 British propaganda poster from the Second World War, part of a series depicting service personnel from the colonial empire. This one features a soldier of the Royal West African Frontier Force. The names of the colonies appear on either side. 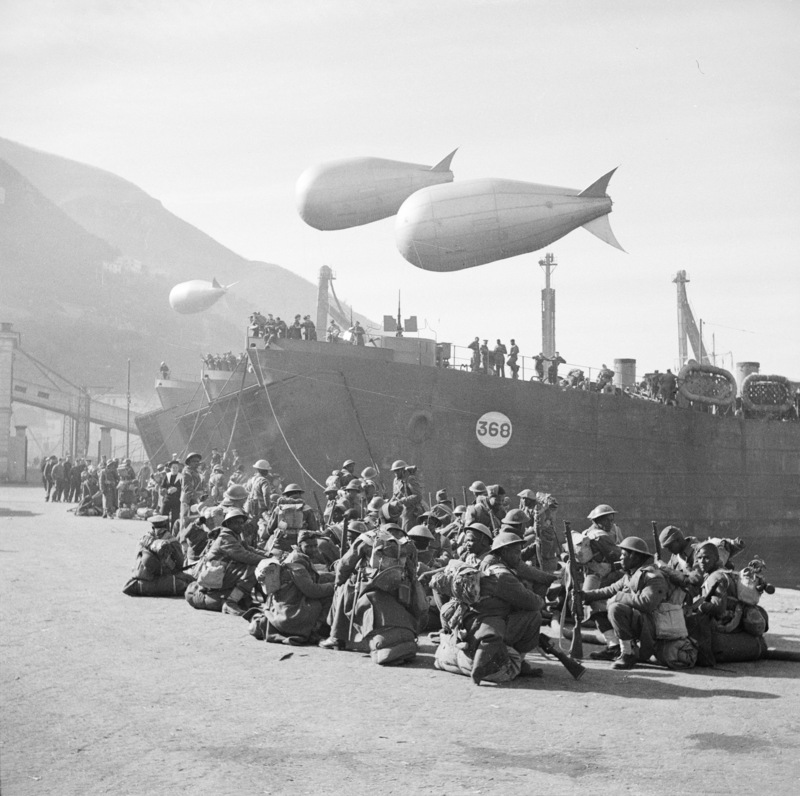 January 1944: Swazi troops of 1991 Swaziland Smoke Company wait at Castellammare for transit to Anzio, where they were to create smokescreens to shield the invasion area from the enemy. 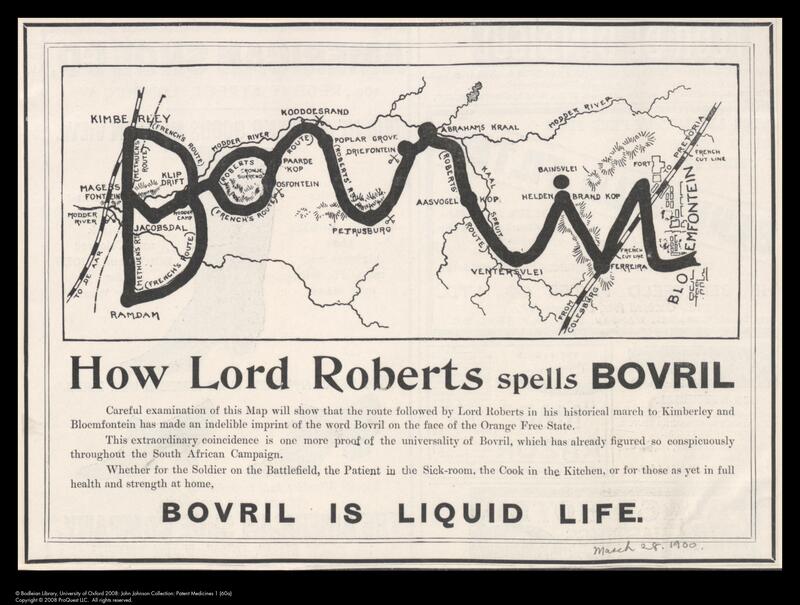 An advertisement for Bovril from 1900, showing how Field Marshal Lord Robert’s advance in South Africa during the Anglo-Boer War (allegedly) spelled out the product’s name. ‘Bovril, a Factor in Our Empire’s Strength’: An advertisement from the 1890s, forging a link between the product and British imperial and military vigour.